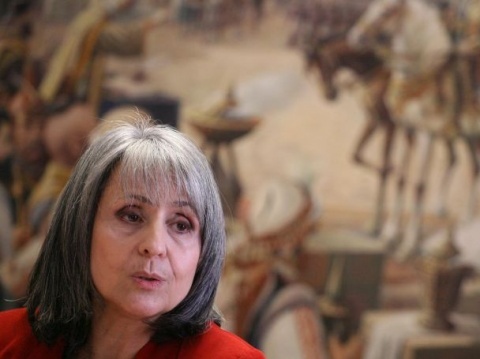 Bulgaria's Vice President Margarita Popova has granted a first and one single pardon since the beginning of her term in office. According to statistics provided by Popova on the activity of the Pardons Committee, the unit reviewed a total of 300 applications until now, 276 of which were rejected. The Vice President spoke Monday, during the event focusing on the account of her and of President, Rosen Plevneliev, activities during their first 100 days in office. The first pardon was granted on April 27 with a decree # 30. Popova explained the person was a 38-year-old male who had been serving time for attempted robbery. He had one year and seven months left from his jail sentence, had reinstated all stolen property to its owner, and his health had been rapidly deteriorating. She informed that the second official report of the Committee would be released in several days while the Committee on Bulgarian Citizenship would be introduced in one week. "This is a topic that needs to be carefully analyzed and to involve a large number of experts from a number of institutions to begin working on a concept for Bulgarian citizenship in the EU context," the Vice President said. The issue of pardons drew public attention after the suspicion cast over the practices of former Vice President Angel Marin. In his ten years in office, Marin signed 49 decrees for full or partial pardons despite the negative statements of the Pardons Committee. During the two terms in office of President Georgi Parvanov and Vice President Angel Marin, 529 people were granted pardons, among them 232 murder convicts.